Many Americans may have never heard of civil forfeiture, but it is something that happens every day in the United States. If a law enforcement officer believes that a person's assets were used in or are the result of a crime, said officer can confiscate the assets without necessarily charging the owners with a crime. The controversial procedure results in millions of dollars in cash and property being seized every year by federal agencies, such as the Drug Enforcement Administration (DEA). It is often the case that civil forfeiture involves marijuana. Two U.S. representatives have introduced a bill that would prevent the DEA from using federal civil forfeiture funds to finance its marijuana eradication program, Forbes reports. The bill is sponsored by Ted W. Lieu of California and Justin Amash of Michigan. 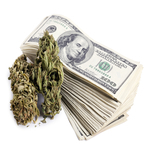 The DEA reports that its Domestic Cannabis Eradication/Suppression program seized more than $27.3 million dollars of cultivator assets last year. Agents destroyed 3.9 million cultivated outdoor cannabis plants and 396,620 indoor plants, according to the article. The agency arrested 6,310 individuals and seized 4,989 weapons from cannabis cultivators. In 2014, $18 million was spent on the program. If the bill is passed, the DEA would no longer be allowed to transfer property to federal, state or local agencies - if the property is to be used for the agency’s marijuana eradication program, the article reports. “Civil asset forfeiture allows innocent people to have their property taken without sufficient due process, and this program encourages civil asset forfeiture by allowing the DEA to use the proceeds of seized property to fund marijuana prohibition enforcement,” said Congressman Amash. In an era of changing views regarding marijuana, some believe that the DEA’s actions are unwarranted and a waste of resources. Marijuana can now be used recreationally in four states and can be used medically in 23 states. “As multiple states legalize marijuana across our nation, it is a huge waste of federal resources for the DEA to eradicate marijuana,” Representative Lieu said in a news release.